omid (mashhad, Iran) on 2 April 2018 in Landscape & Rural and Portfolio. Tout baigne dans une belle ambiance propice à la contemplation! Et ce héron solitaire accentue cet effet! Bon début de semaine lumineuse! Very nice composition with the bird silhouette ! Beautiful light ! Very nice shot ! Great catch ! well done ! Superb composition with the bird silhouette! Une ligne à franchir pour cet oiseau stoppé net ou une envie de s'abreuver dans ce rayon coloré ! Perfectly done and composed,Friend !!!!! Beautiful softness in the sky, well composed and lovely silhouettes. Superb capture of this bird in the sunset ! 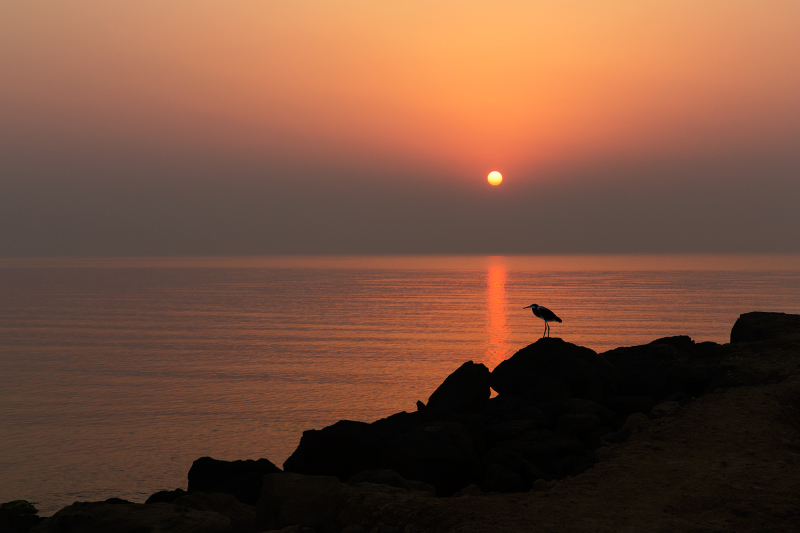 A fine silhouette of the bird against a beautiful sunset. Very effective. Gorgeous colors, reflections and silhouettes captured in this shot!! A beautiful and poetic image!... I love it! A gorgeous capture of the light and bird. Photography at its best - an exceptionally fine image. So nice with the silhouetted bird standing there. Fantástica vista, iluminación y tonos... Saludos. Beautiful composition, with all the elements (sun and bird) in prominence. How lucky is the heron to wake up under this light these colors and this landscape! A dream this photo!